A tendency among politicians to exploit the September 11 tragedy has been apparent from the very first. In Israel, Russia and China, governments were quick to use America's agony to justify the unjustifiable in Palestine, Chechnya and in Xinjiang. Pakistan's ostracised regime found in September 11 a return route to international acceptance. Its arch rival India, in its turn, used one crisis to dramatise another, in Kashmir. From Tehran to Khartoum to Harare, political leaders climbed aboard the anti-terrorism bandwagon with a view to domestic advantage as well as Washington's aid and approbation. Even Tony Blair's post-September 11 empathy offensive was not totally devoid of similar calculations. Such is the inevitable way, perhaps, of a hard-hearted, cynical world. But when George Bush, president of the very nation that was targeted, follows suit and begins to exploit and manipulate the September 11 tragedy for political advantage, alarm bells must ring out loud. Yet this is exactly what Mr Bush's first state of the union address unabashedly set out to do. All US policy, both international and domestic, is now framed in terms of last autumn's emergency; all measures, however partisan and divisive, are justified in the name of patriotic unity and solidarity; all misgiving and dissent must be overridden for the sake of America's "just cause". Mr Bush, in his black-and-white way, has clearly convinced himself that in what he calls the "decisive decade in the history of liberty", his duty, mission and calling is to direct the triumph of good over evil at home and abroad. "America will lead by defending liberty and justice because they are right and true and unchanging for all people everywhere," he declared. This is a premise fortified by falsehoods and underpinned by a delusion. 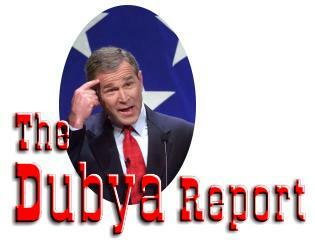 The principal falsehood is that the policies Mr Bush now advocates are dictated by an ongoing terrorist menace. They are not. Primarily they are the products of conservative Republicanism, set dangerously loose in September 11's aftermath. There is nothing new, after all, in the idea of Iran, Iraq and North Korea representing an "axis of evil"; the American right has been gunning for them for years. There is nothing new about the ballistic threat. Mr Bush has long wanted missile defences ; now he uses September 11 to justify his plan. When Mr Bush speaks of "tens of thousands of dangerous killers schooled in the methods of murder... spread throughout the world like ticking bombs, set to go off without warning", he is not only being irresponsibly alarmist; he is also disingenuously justifying the whopping $48bn defence budget increase he always dreamed of. These exploitative falsehoods extend into the domestic arena. The "economic security" of Americans is not best served by yet more tax cuts, as Mr Bush proposes; he has already squandered the Clinton surplus. Big business cannot be trusted to lead the fight out of recession; just look at Enron. A new "culture of responsibility" will not derive from the same old trickle-down economics, unregulated corporate greed, wasteful and destructive energy and environmental policies and bent campaign financing. September 11 undoubtedly bound the American nation. But it did not blind it. Sooner or later, Mr Bush, self-styled universal soldier for truth, will have to stop pretending that tragedy gave him a free hand to remake America and the world to fit his simplistic, narrow vision - or risk having voters and US allies end the pretence for him. For this is the delusion under which he labours. And a very dangerous delusion it is too.